Everyone seems to be offended these days. College students are offended that they have to pay for college. Hourly wage earners are offended they are not making $15 an hour. Democrats are offended by Republicans and vice versa. Protesters are offended by the opposition’s second amendment right to offer an opposing view. School districts are offended by students wearing T-Shirts that say God Bless America. And coffee drinkers the nationwide are offended by plain red Starbucks Coffee Cups. Just to be clear… It is not Starbucks responsibility to wish people a Merry Christmas. The responsibility is ours! People are offended because the pastor wears a robe. People are offended because the Pastor wears his shirts tucked out. With the approaching holiday season of Thanksgiving and Christmas upon us get ready for people to be offended. People will be offended by the fact that our country has set aside a day to offer thanksgiving to the Lord God Almighty from whom all blessings flow. No one, however seems to be offended that we have two days off from work for this annual festival of offering thanks. People around your dining room table will be offended. They will be offended that you haven’t called enough. That you have called too much. That you didn’t cook the turkey or the dressing or the string bean casserole or the sweet potatoes the way great grandma Eloise used to. People will be offended that the one time we get together as family, you slept half the weekend away on the couch while the TV blared Fox News, CNN or meaningless football games. You will offend yourself because the very people you call family, the very people you stick by and they stick by you, you will offend yourself by being so relieved when they finally do leave after what seemed to be an eternally extended stay. And this is where our sermon topic of the day comes into play – Forgiveness. The heart of the gospel, forgiveness is offensive. Make no doubt about it…today’s topic just might offend you. A strange title, and yet, Jesus who took on the sins of the world upon his shoulders was killed by the weight of it all. He who knew no sin, became sin so that we could become the righteousness of God. Such an act of forgiveness kills all sense of sensibilities, kills all grounds for common sense, and defies all logical explanation and expression. The very notion of forgiveness is offensive because it begs the question that I might have committed some act that need forgiveness. The paralytic lies before Jesus and the tension is palpable. Can Jesus heal the man? The crowds love a good healing. It’s quite the spectacle. Everyone wants to see when they are blind, to walk and run when they are lame, to be clean when they are diseased. But, Jesus’ words are offensive, and pompous. If Jesus’ first order of business is to heal the soul, then by in turn that means my soul needs cleansing and healing as well. That which I have hidden so well by my good acts, proper manners and altogether suave and debonair positioning is now threatened and therefore I am now offended by such overt, miraculous authority. The scriptures are clear, Jesus’ offensive acts of forgiveness makes the crowd afraid! You are forgiven, for and from everything! 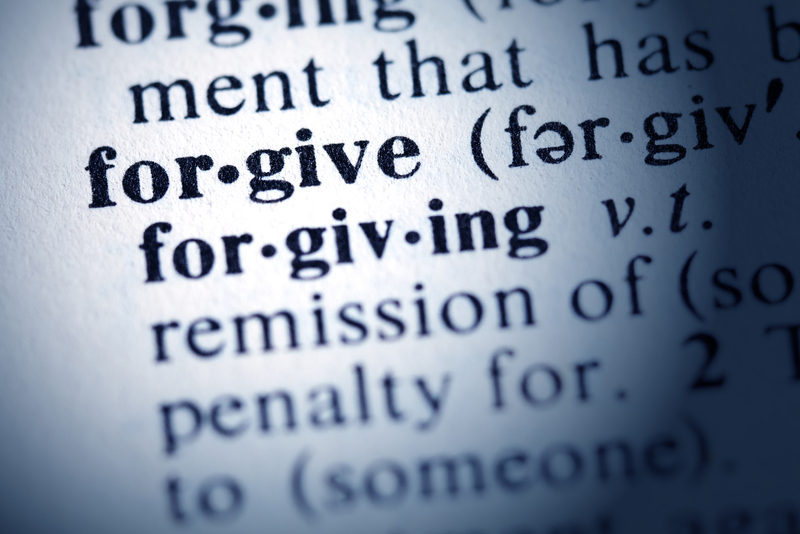 Thus, we are to forgive – forgiving one another as Christ has forgiven you. We are called to pay it forward. Let that percolate for a minute. You and I will be hurt by other people. Not just a little skirmish. I mean our hearts will be crushed, broken, stomped on and in some instances the course of our life will be forever altered by the shameless actions of others. And the offensive part about it, as if the pain that has been leveled against me isn’t enough, as followers of Jesus, I am, we are called, and commanded to forgive. Forgiveness kills the notion that you cannot forgive. You can with God’s help! Forgiveness kills the idea and practice that we can hold a grudge for a long, long time! Forgiveness kills the desire to burn bridges, but rather build bridges instead. Forgiveness kills the existing state of estrangement and fosters reconciliation. Forgiveness kills the power of pride and allows healing to take place between two people where one has offended the other in the most egregious of ways. Forgiveness kills the appetite of the revengeful heart, the vengeful mind and the violent hand. Forgiveness kills the self-serving ability to hold the bar so high for the offender that they will never be able to ascend the necessary heights or threshold to achieve your forgiveness. Forgiveness kills selfishness and leads to Godliness. In light of what happened in Paris on Friday night, it seems impractical, impossible, improbable and downright stupid to pray for the forgiveness of the terrorists, for they knew not what they did or maybe they did know what they were doing in destroying so many lives, families, businesses, senses of security and community. Forgiveness kills the weight of pain, agony and hurt. Forgiveness kills the foundation of my self-made throne of kingship and allows Jesus to sit on His throne to reign over my life, my will, my decisions and my future. As with Jesus, living a life of forgiveness leads to the death of a lot things only to allow for the resurrection of new life, new beginnings, new journeys, new relationships and new experiences. It will be painful, it will be offensive, it will be seemingly impossible, and utterly irresponsible but in the end, forgiveness kills all fears… and allows enough room in our hearts to allow God to begin to do amazing work not from a place of self-imposed imprisonment but rather from a place of freedom and joy that leads to life, joy, laughter and life everlasting. My wife Julie is perhaps the most organized person I have ever met. Everything in its place and a place for everything. Her computer files are no different. She has multiple files in her email account for a host of various things, from cleaning products to devotionals to popular authors (I am waiting for my name to be added to the list!!). Last night I was watching the NCAA Men’s Basketball Tournament (aka March Madness) while Julie was organizing and cleaning up some files. All of a sudden her face became all scrunched up and the words “oh no” escaped her lips like they were in slow motion. Everything sort of became “slow motion” as if watching some sort of train wreck. “Oh no” once again rushed out signaling what was thought to be an impending train wreck was indeed a massive pile up of train cars spilling every which way all over the track. 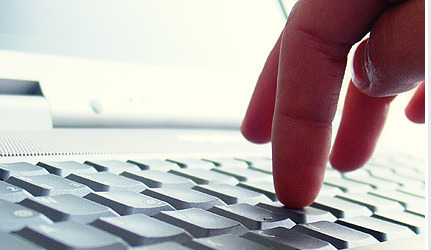 The cursor on the screen hovered over the “Personal” file folder…Zero messages! The cursor quickly made its way down to the “Business” file folder… Zero messages! The cursor quickly made its way down to the “Devotional” file folder… Zero messages! And so this frantic moving of the cursor continued over and over with the same result in EVERY file folder! I mean… gone, bye-bye, see ya, adios, and don’t let the door hit ya on the behind on the way out! Did you know God has a “Delete” button when it comes to our shortcomings, our mistakes, our mess ups, our hang ups, our sins? The file folders are empty, the weight of the burden has been relieved! We have a God who remembers our sins no more…all because of one single keystroke called the cross..